← Tuesday 29th September 2015 – Continuing with the tidying up. Wednesday 30th September 2015 – And so it continues. I only had a couple of hours on my allotment this morning, which was a bit of a shame, but I made the most of what little time I had. 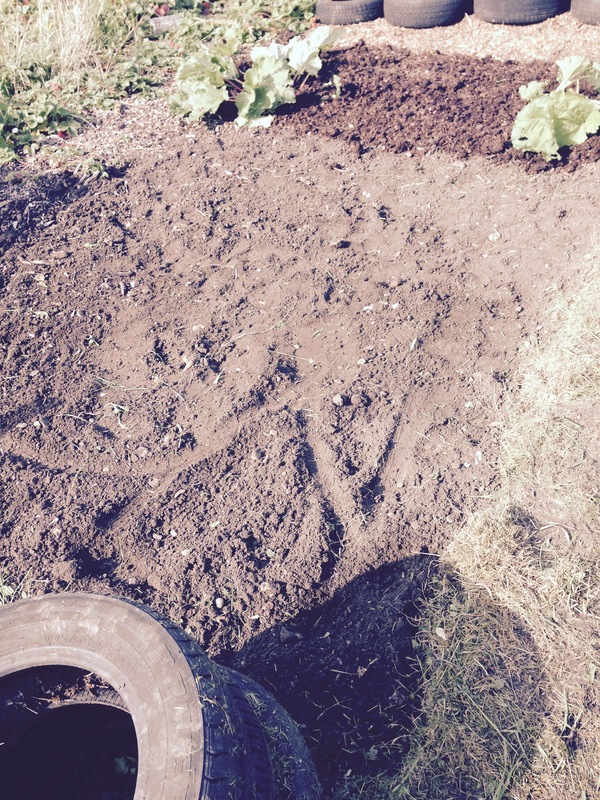 I carried on with weeding from where I’d left off yesterday and managed to finish weeding another bed. It’s a rather large bed so I was very please to get it all done. I then spread a bit of manure on that bed before I had to go. Another bed all cleared, just a bit more manure and it’s done. I also managed to get my petrol strimmer working. I’ve not used it all season, why I don’t really know but I’ve been using my hand sheers, but the handle keeps on falling off (Santa is bringing me some new ones) so I got the strimmer working. It took a little bit of coaxing and sweet talking on my part to finally get it going again, but once it was going it was very happy. I now need to get some more fuel because I’ve just used the last of it. I’ll stand in line at the fuel station and wait my turn. Just before I left I went to pick some more Kale for the chickens. They need a little treat every day because they are really special and I like to spoil them. So not really much to tell you today, I’m sorry about that. All a bit boring when it comes to weeding. Hopefully something a bit more interesting soon. 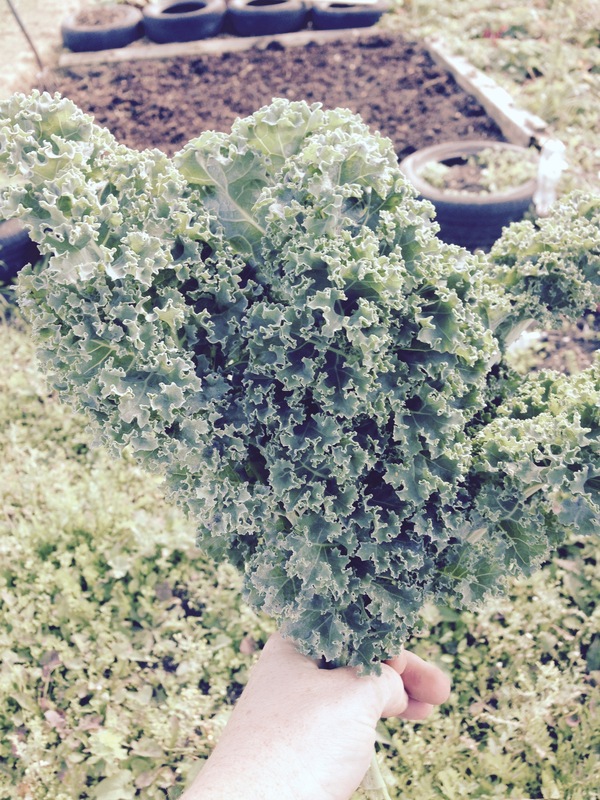 Some people get a bunch of flowers, but my chickens get a bunch of Kale. This entry was posted in Uncategorized and tagged claire's allotment, kale. Bookmark the permalink.